The National Democratic Congress Party (NDC) has said that Zambia Police has denied them the opportunity to conduct a roadshow to celebrate and thank the people of Roan Constituency who voted for their candidate. According to the NDC statement Zambia Police has restricted all NDC celebrations, saying they will not be allowed because the Party does not have a permit to do so. The party’s political consultant Chishimba Kambwili described the decision to be unjustifiable, but thanked the people of Roan constituency for the confidence they had shown their candidate and their alliance partners, mostly the UPND, adding the victory was not about Chishimba Kambwili or about the NDC or UPND. Mr Kambwili said that the victory was about sending a message to the whole country that time for thieves to be using the poverty of the people to buy votes during the elections has come to an end. “The people of Roan have spoken for and on behalf of the Sixteen million people of Zambia that the revolution has started, ” Mr Kambwili said. Mr Kambwili also appealed to the real Patriotic Front Members, who are still in PF to come and join hands with NDC in the revolution which they have started so they can bring hope to the people of Zambia, to provide jobs for the people of Zambia, to run a proper economy for the people of Zambia and to bring industries and manufacturing base to Zambia. Mr Kambwili also expressed dissapointment that when President Edgar Lungu came for campaigns, instead of warning his ministers against dishing out money to the voters, he seemed to have been encouraging them. 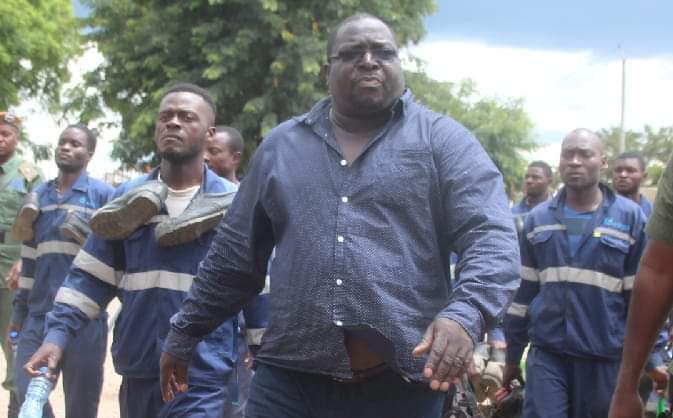 Mr Kambwili also challenged President Edgar Lungu to tell the nation were Kambwili has sold the 3000 hectors of land in Maposa, adding that if at all Kambwili had sold any land, by now he would have been arrested. Mr Kambwili has also asked DMMU National Coordinator Chanda Kabwe to tender in his resignation for having been on the centre of corruption activities as seen in the resent activities were trucks of mealie meal were sent to Roan constituency to be distributed to the people of Roan in the pretence of being relief food. Kambwili also sent a strong warning to current Ministers engaged in corruption that come 2021 90% of the Ministers risks going to prison.